Musée de la Gaspésie: Discover the history of our fabulous peninsula! Set off to encounter the men and women who have fashioned the Gaspé Peninsula, from its origins to today. 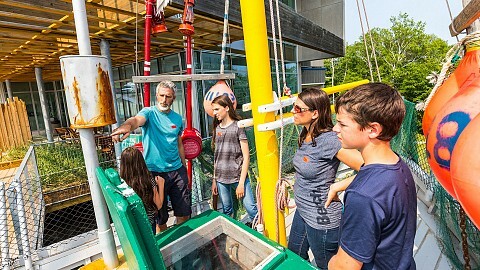 Visit the various permanent exhibits, including The deep blue sea which combines historic ships and augmented reality showcases, and Gaspésie… a grand journey which takes you deep into the peninsula’s history. Don’t miss the digital installation Living portraits where historical figures come to life and Jacques Cartier tells you about his arrival here. The museum also has a number of temporary exhibits. You can board a real fishing vessel, the Gaspésienne no 20, or watch a virtual reality film and enjoy a 360-degree view out on the water! Take part in various fun-filled activities for the whole family: go on a Georally (a tracking game using GPS), and explore the permanent exhibit via a game application – Amuse Personnage – or by answering Fishing for words riddles. Guided activities with historical figures in period costume are presented throughout the summer; the museum grounds are also well worth a visit. 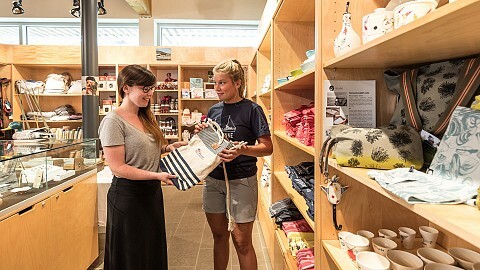 Other attractions at the museum include an art gallery featuring the work of Gaspesian artists, a gift shop chock full of local products and the Gaspésie Archives Centre. The museum edits Magazine Gaspésie, Québec’s oldest history magazine. 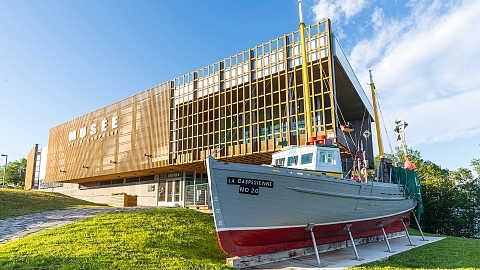 A regional museum institution open year round, Musée de la Gaspésie is the ideal place to discover the history of the Gaspé.